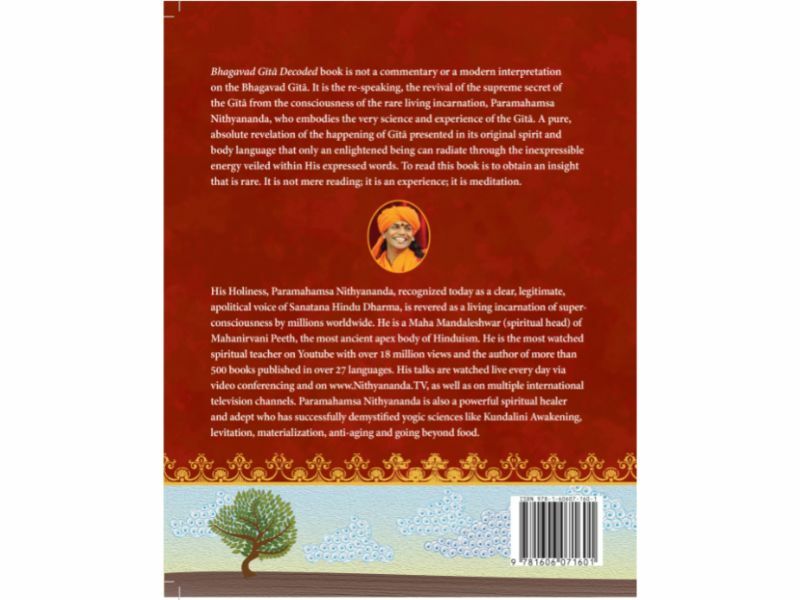 Bhagavad Gītā Decoded book is not a commentary or a modern interpretation on the Bhagavad Gītā. 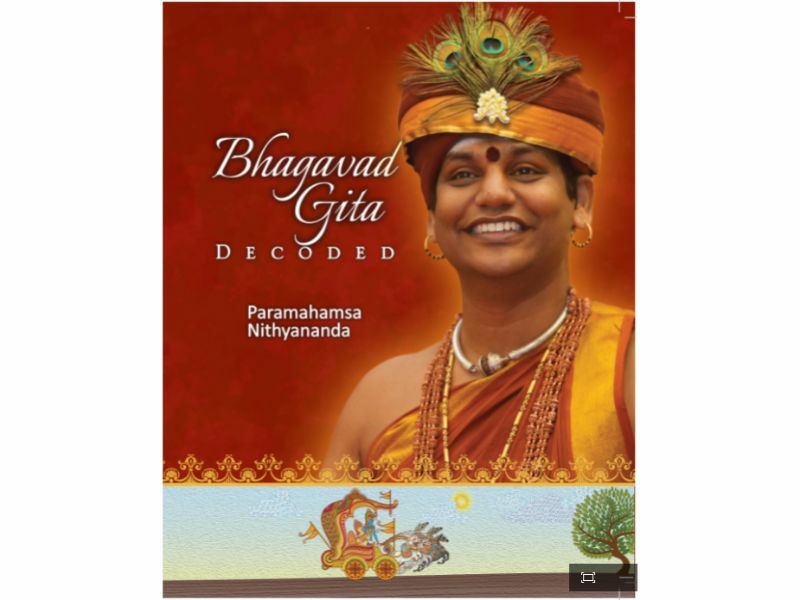 It is the re-speaking, the revival of the supreme secret of the Gītā from the consciousness of the rare living incarnation, Paramahamsa Nithyananda, who embodies the very science and experience of the Gītā. A pure, absolute revelation of the happening of Gītā presented in its original spirit and body language that only an enlightened being can radiate through the inexpressible energy veiled within His expressed words. To read this book is to obtain an insight that is rare. It is not mere reading; it is an experience; it is meditation.